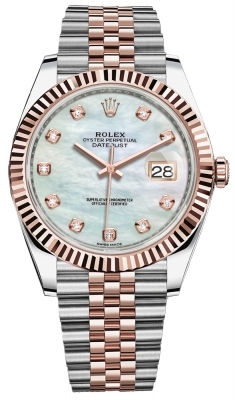 Stainless steel case with a rose gold bezel and crown. 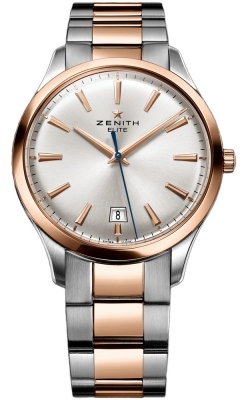 Brushed stainless steel bracelet alternating with polished gold sections in between. 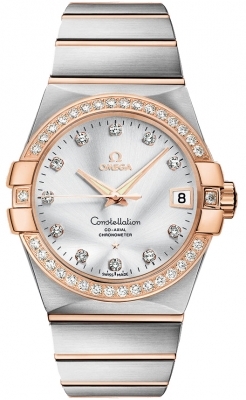 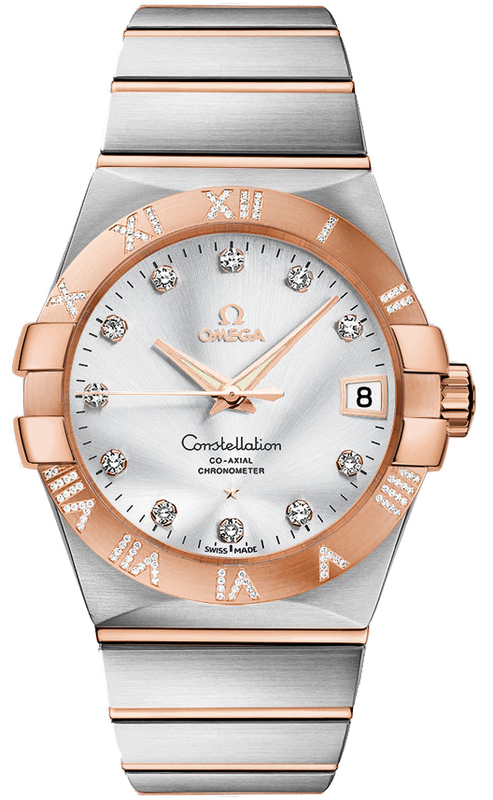 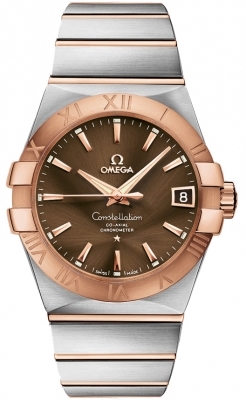 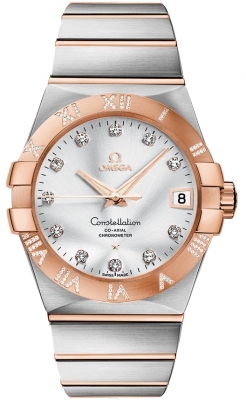 COSC-certified Omega Co-Axial Escapement movement - Caliber 8500 with a rhodium-plated finish. 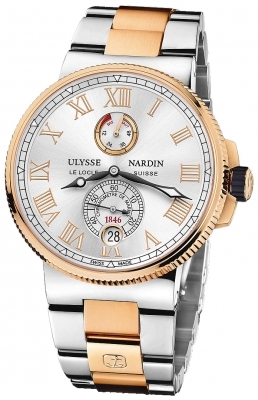 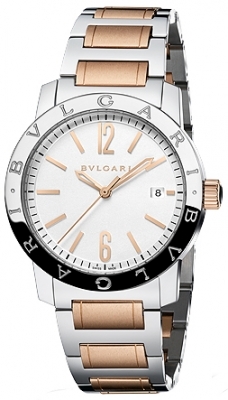 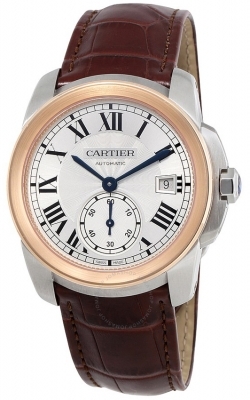 This ultra-precise movement features automatic winding in both directions, and a power reserve of 60 hours.